5.0L Discuss the 5.0L engine here. 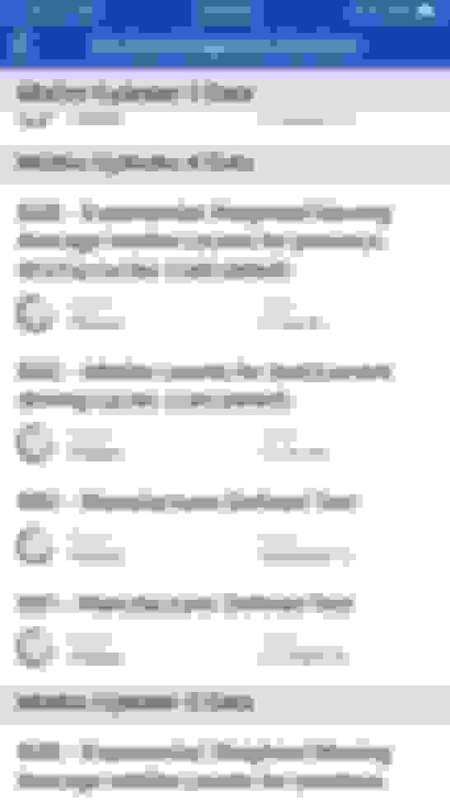 Using AutoDoctor on my iphone. Some days I swear I feel a misfire or slip around 50-60 mph under idle/light throttle, RPM around 1500. Never any issues under load. At idle, i had misfires listed under $0C for all cylinders except for one. Cyl 4 is the worst but then went away as per the below. 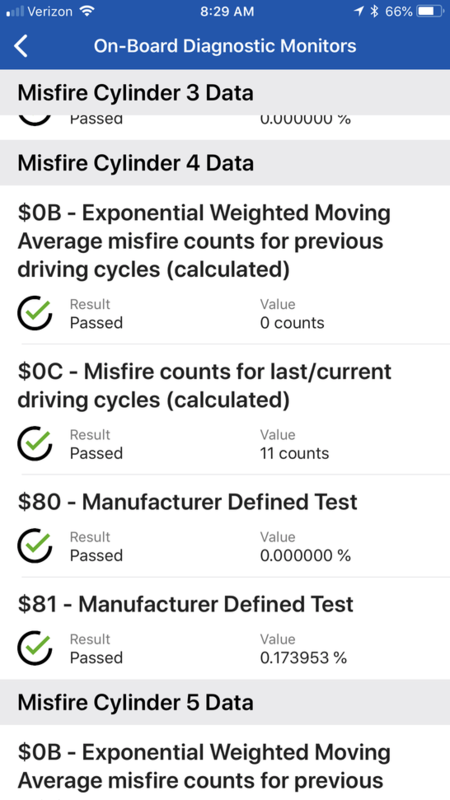 $0C is "misfire counts for last/current driving cycles (calculated)"
I then drove down the road "normally" and pulled over. Then it showed for only two cylinders. Then I got home and it showed only for cylinder 8. After idling a few seconds, that went away. Is all this normal? I am new to this process. Anyone? Before I take to the dealer for transmission service. I’m probably just nuts. Did you get to the bottom of this one. I have something similar and taking it to the shop next week. no. Seems to only be at idle. Once I drive they clear out. A guy on another site said to pull the plug and swap to another cylinder to see if the misfire follows. If if I was going to do that I would spend $80 and just replace them all. Took my 2017 F-150 coyote into the dealership for this misfire problem. They changed out the intake. Right side intake runners were broken. The shaft would move but the flaps would not. Runs fine now. Hope this helps you guys!! Thanks. Mine can barely be felt and can’t replicate on command. I have a 2013 F150 XLT, 5.0L engine. I have had the notorious P0305 error code for maybe 5 months. Rough idle and sometimes rough driving as engine light blinks. Truck only has about 60k miles! Service adviser at Ford was surprised as I don't drive rough and no previous issues or accidents. I see this code a LOT when searching around. Replaced all the plugs and all the coils. No change. Checked for fuel and spark - all good, including cylinder 5 where code is. Compression tests failed - dry test had it about 45 PSI below all the others. Wet compression test brought it nearly identical to the others. Cylinder 6 never had any issues, just 5. Took it to Ford shop and technician 'thinks' it may need a new engine. Of course, it could be a piston rings, but would require $1200 to break engine down and about 12 hours. Can one just disable cylinders 5 and 6 (set of two) via ECM so engine does not try to use them, basically making it a V6? Of course pistons would always rotate. Would this even temporary solve issue until I figure out if I want to breakdown engine, then potentially find out I need a new or reman engine? 2013 5.0 Water Pump Replacement = A/C Compressor Noise?